2 WEEKS & LESS THAN 10 BLOCKS.. It seems as thou a brick has hit me!...I've got just under 2 weeks till I leave for Tokyo and I feel I've got SO much to organise before I leave. Starting to worry. 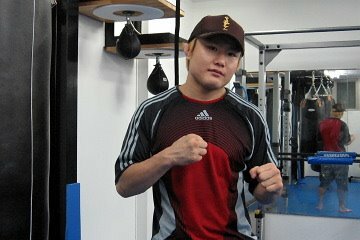 Also..Found out today that Takanori Gomi has left Kiguchi Dojo and opened up his own gym in Tokyo. And get this!..it's less than 10 block from where I'll be living while I'm in Tokyo. I don't know the exact address but apparently "it's REAL close to the Kugayama station" so I'm going to scout it out via bicycle in the first few days I'm there. I'll find it.